As a small business it can be tricky to find unsecured business funding to grow your Chinese restaurant. Loans from your high street banks are becoming more and more difficult to find and the process can be long with excessive paperwork and many questions. With a business loan from us it is very simple. 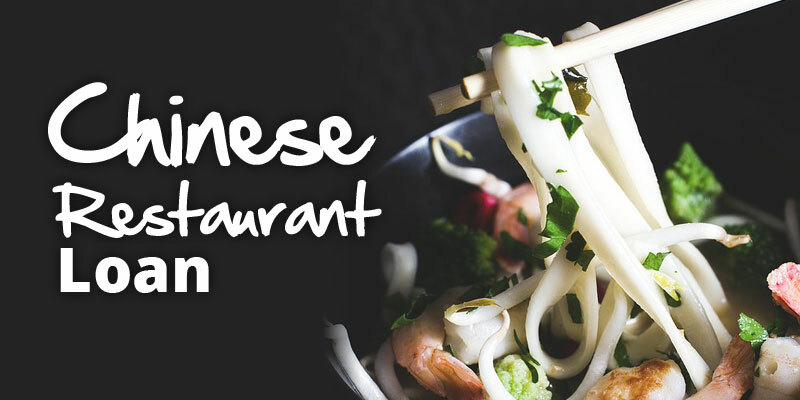 A Chinese restaurant loan is one of our more popular loans – on average we fund three or four restaurants per week here in the UK. The type of finance is called a merchant cash advance which uses your monthly card sales to determine how much you can borrow. The cash advance is a type of alternative business funding which is subsidised by the UK government. This has helped thousands more small businesses including Chinese restaurants access funding they need for cash flow purposes. You maybe thinking of opening a new restaurant and expand your business by developing a property. A business cash advance is a very straightforward way of raising the funds you require. Unlike a traditional bank loan where you repay a set fee every month for the duration of the loan a cash advance uses a set percentage of each sale from your credit and debit card sales to repay the loan as you make sales. This way it works with your cashflow. It’s unsecured which means we don’t require security of a personal or commercial asset such as your property. It doesn’t effect your cash sales, these are safe and away from the calculations of the business loan. Poor credit history? Don’t worry we fund many business with less than average credit history. The great part about our Chinese restaurant loan product is that it is truly flexible. If you have a poor week or month at your restaurant you will pay back less for that month (in line with your cashflow). We’re also very partial to Chinese food too so we’re always delighted to talk about our favourite type of client!